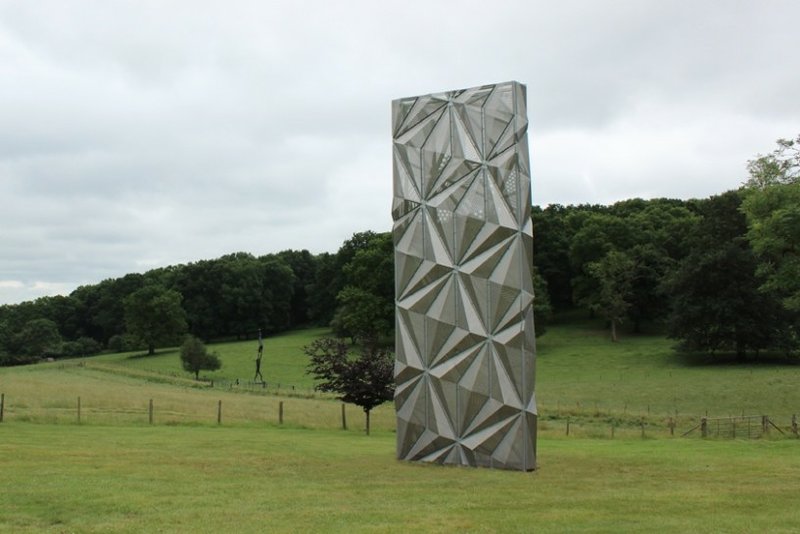 Monolith (Optic), 2016, is currently on view in the Sculpture Park at Roche Court, near Salisbury, Wiltshire. A synthesis of engineering and optical research that draws on subjects including maritime camouflage, Cubism and Op Art, the work appears to change endlessly according to shifting light conditions. Read an interview with Conrad Shawcross about the work. See a film of Monolith (Optic) at the 2016 Frieze Sculpture Park.